My clever and lovely friend Hannah has written a book and I know I am biased because I love her loads, but I also know a good book when I read one - and this is a BLOODY GOOD BOOK. 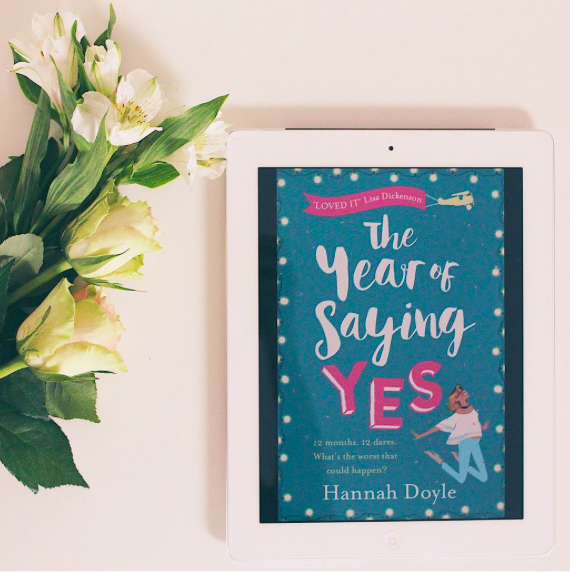 The Year of Saying Yes is the perfect, funny, summer read. The protagonist, Izzy, is stuck in a rut. For three years she has been in love with the same guy that doesn't seem interested in her, she works hard for a shoestring salary and lives in a shoebox flat. Want to find out what happens next? Go read! Writing without music is like pizza without prosecco… it just shouldn’t happen! When I was working on my new book I basically LIVED on Spotify, with fun, upbeat scenes requiring some super loud dance throwbacks and the more emoshe scenes needing something more chilled. Don’t judge, but I did *occasionally* need to take a break from writing when Vanilla Ice’s Ice Ice Baby came on just so I could song along. No you be cool! Here are the top three songs I listened to while penning The Year of Saying Yes. Hey yo, hey yo, hey yo, HEY YOOOOOOO! Essentially, this is my favourite song of all time. I listen to it when I’m writing, I enforce soon-to-be married friends to add it to their wedding playlist, I make my babies listen to it when they’re giving me sass. I. Just. Love. It. Firstly, what’s not to love about these two badass babes getting together for a collaboration. Secondly, the video is the best thing I saw with my eyes in 2010 (mmm hmmm honey bee). Thirdly, I feel like I could run the world when I listen to it and that’s pretty good when you’re trying to write something that people might actually like. Kylie is Queen. In fact, a lot of Aussies have done a ruddy good job at making pop songs. Remember Holly Valance’s Kiss Kiss and Dannii Minogue’s Put The Needle On It? So may yeses to them, too! 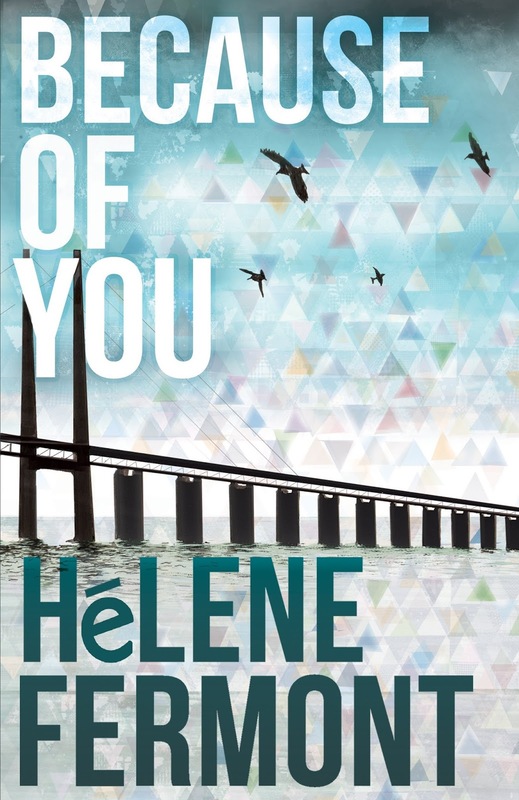 Now the dark nights are closing in on us it’s time to add some books to your reading pile… First up, Because of You by Helene Fermont. I’m a big fan of psychological thrillers and this certainly didn’t disappoint. Completely gripping, I finished this in one sitting as I was desperate to know what would happen to all the characters. 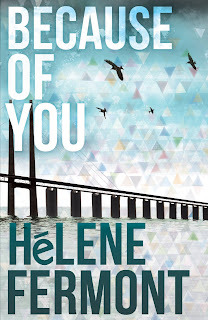 A fine debut from Helene Fermont - I can’t wait to read her next novel! On a cold winter's day, a pre-school teacher is shot to death in front of parents and children at the Jewish school in Stockholm. Just a few hours later, two boys go missing on their way to tennis practice. A heavy snowstorm hits the city and the traces of the perpetrator are few and far between. Fredrika Bergman and Alex Recht are faced with one of their toughest challenges ever as they hunt for a killer who is merciless as he is effective. The leads are diverse, but all point to the same place: Israel. And someone called the Paper Boy keeps popping up in the police investigation. But who is this mysterious figure? Could he possibly have resurfaced in Stockholm, now claiming new victims? 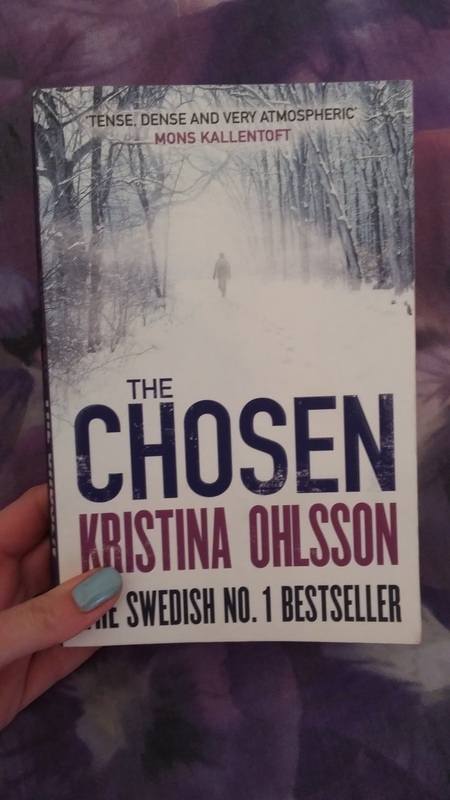 Laura says: The Chosen is a Swedish no. 1 bestseller and I can see why as it's tense, dense and incredibly atmospheric. This is the fifth book in the Bergman and Recht series, something I didn't realise before starting! 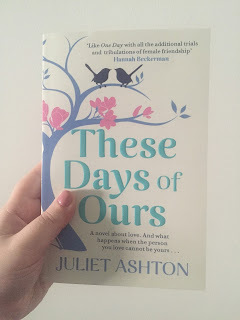 Although this is an entirely new story, it felt like there were a lot of characters which meant it could get a bit confusing – if I'd read from the start it might have made things easier. Despite that, The Chosen was an excellent read in the Nordic-crime genre. It's a complicated story about revenge and has a real labyrinthine of a plot with its roots in the past and also the present. Interestingly, you know the ending of the story from the very start as the novel jumps around in time but you're still kept guessing the whole way through. It has a great ending too, with a fabulous twist, one that left me with a lump in my throat. Despite being quite a complicated read I was thoroughly engaged by the story and would recommend to others who enjoy this type of crime fiction. In Mary’s family, money was scarce. Clothes were hand-me-downs, holidays a church day out to Hastings and meals were variations on the potato. But these were also good times which revolved around the force of nature that was Theresa, Mary’s mum. 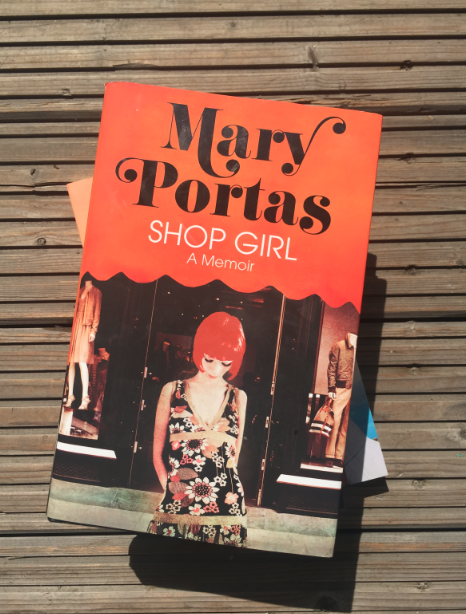 I love Mary Portas. She's super sassy and sure knows her stuff. And after reading Shop Girl I admire her all the more as she's got where she is through sheer hard work and determination. 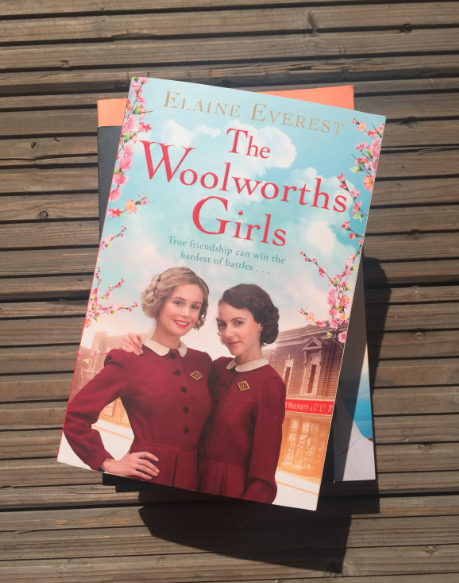 I have a real thing for books set around the Second World War era so when The Woolworths Girls landed on my desk I couldn't wait to get stuck in - and it didn't disappoint. Brilliant characters and a lovely storyline, The Woolworths Girls is a brilliant debut from Elaine Everest. Can't wait to read more from her. As with My Map of You, I do love a book set in a pretty part of the world where if I closed my eyes, I could imagine I am there. 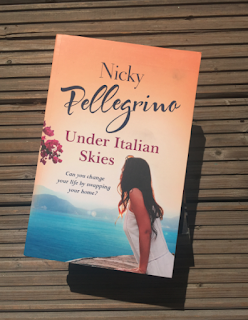 As soon as I was finished with Under Italian Skies, I wanted to pack my bags and head to Italy for my own adventure! This book is just perfect for reading in the sun with a bottle of Prosecco. 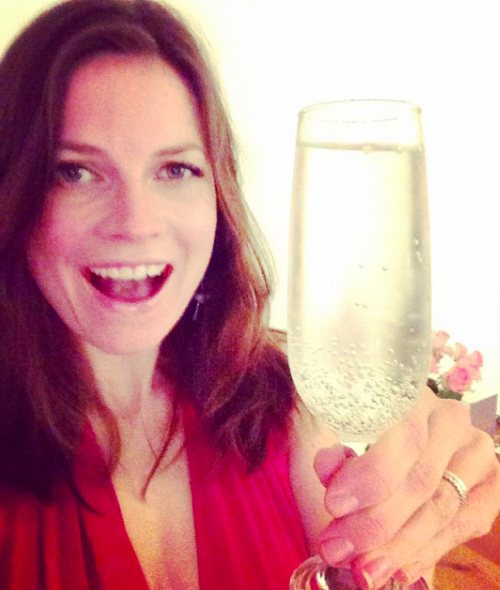 Salute! I loved Annabel Kantaria's debut novel, Coming Home - and The Disappearance was just as good. 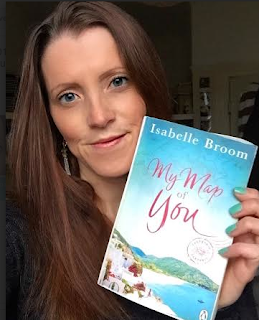 In fact it was completely gripping and as the plot unfolded I found myself really unable to put it down. Lucy is worried about her financial situation and it keeps distracting her. Should she accept an offer of help from an untrustworthy source? Nadia may have a real chance at finding love but other areas of her life aren't so rosy. Something needs to change - but what? Autumn can't wait to meet someone she hasn't seen in a very long time. She's full of hope for the future but then things don't exactly go to plan… And Chantal has been through so much and she's finally starting to feel settled. The last thing she needs is the kind of bad news that could change her life all over again. 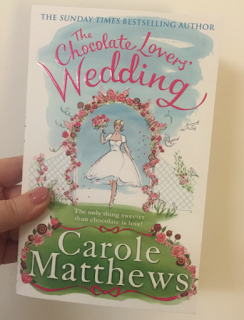 Oh I do love a good wedding story! Especially a 'will they, won't they?' wedding story… And no one writes them better than Carole Matthews. With brilliant characters and a great storyline, you will laugh out loud in places and get teary in others. A perfect summer read. Judith has been visiting her mother, Stephanie, in prison once a month for the last eight years. But neither of them can bring themselves to talk about what brought them here - or about Nathaniel . . . When Stephanie first meets him, she is a struggling single mother and Nathaniel is a charismatic outsider, unlike anyone she's ever known. In deciding to join the small religious cult he has founded high on the moors, Stephanie thinks she is doing the best for her daughter: a new home, a new life, a new purpose. Judith has never trusted Nathaniel, but even she can't foresee the terrible things that lie ahead. From the moment they arrive, the delicate dynamic of Nathaniel's followers is disturbed. Judith's restlessness and questions unsettle the children who've never known life outside the cult - all except loyal Moses, who will do anything to be her friend. Meanwhile, as Stephanie slowly surrenders herself to Nathaniel's will, tensions deepen, faith and doubt collide, and a horrifying act of violence changes everything. In the shattering aftermath, no one seems safe, and for Judith and Moses the biggest leap of faith is still to come . . . 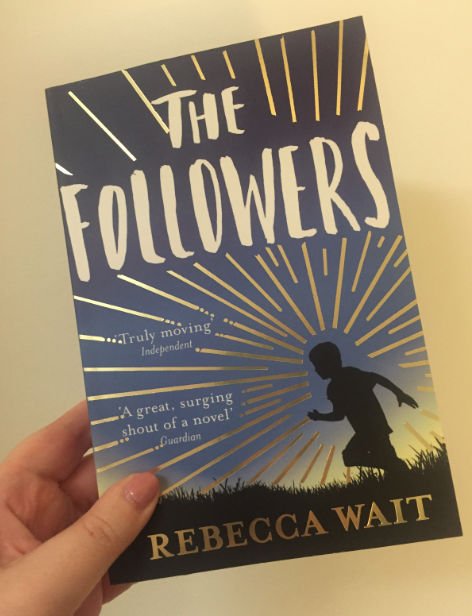 The Followers is an example of why you should never judge a book by its cover… I picked it up and wasn't sure I was going to like it. But just a chapter in and I was completely hooked. I find religious cults a completely fascinating topic and I really enjoyed how it was written - starting in the present day and then flipping back to 10 years ago. 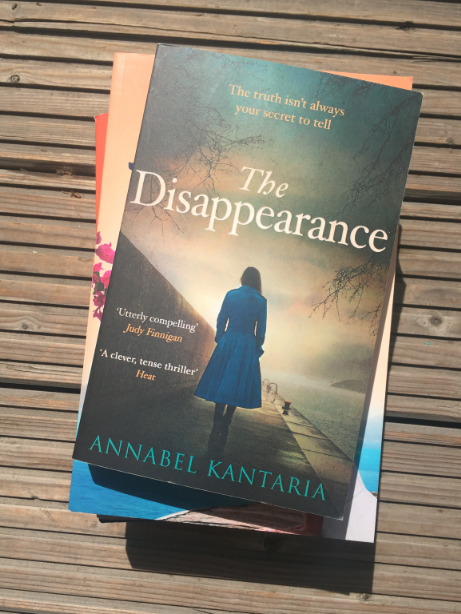 It's such an atmospheric read you can't help but be slightly terrified as you wonder how on earth it's all going to end… I can't recommend enough. Hurrah! The sun is out! Finally… It feels like it's been winter forever. I'm more than ready to ditch the tights and boots for bare legs and flip-flops. 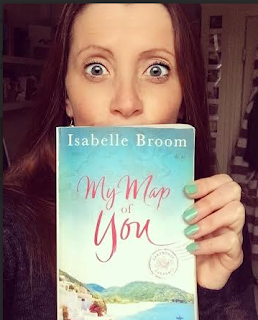 I read My Map of Year back in February and it gave me serious wanderlust. The reality was I was reading sat on my sofa, heating on, blanket covering my knees as the wind and rain battered against the window. 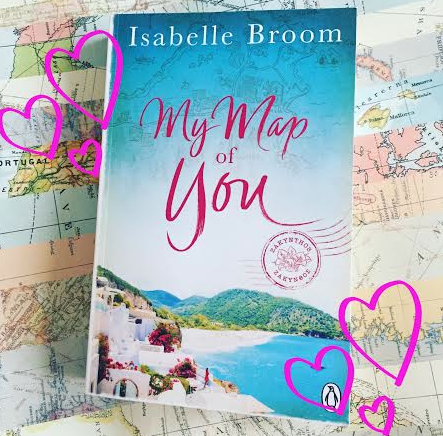 But as I turned the pages I forgot about the cold, bad weather outside as I was completely transported to the sunny Greek island. Isabelle's writing is SO good it really does make you feel like you're there. 1) Tea! I can’t recall a single time I’ve sat down to write at my desk without a cuppa to hand. I’ve even got a special mug that I use. It was a gift from my amazing editor Kimberley Atkins, and she brought it back all the way from Disney World for me. 2) Laptop! Okay, so this one is obvious, but I wouldn’t get very far without the beautiful little beast. It was actually a gift from an ex-boyfriend who did a VERY BAD THING to me, so every time I use it I get a small sense of satisfaction that I’ve used it to be happy and make all my dreams come true. 3) Travel guides! These are an essential for me, because my novels are all set abroad. And while I do take trips overseas to research my locations and make pages of notes, I still like the books there as a reference. Plus, some of the place names in Prague, where my second book is set, are very tricky to spell correctly – even for a sub-editor! Oh, definitely my phone. Does everyone say the same thing? Sometimes the temptation to check Twitter becomes overwhelming, and there’s always the chance that it could ring and distract me. But I’m a needy soul, what can I say? One of these days I’ll drop it in my tea or the dog will eat it – that’ll teach me! A woman at home in Liverpool is disturbed by a persistent tapping at her back door. She's disturbed to discover the culprit is a raven, and tries to shoo it away. Which is when the killer strikes. I scare very easily. I am convinced that one day a zombie apocalypse could happen and I even get jumpy when watching Jurassic Park (seriously). With this in mind, I really shouldn’t have picked up and started reading A Tapping at My Door when my husband was on a night shift… This book needs to come with a serious warning – do not read when you’re home alone. 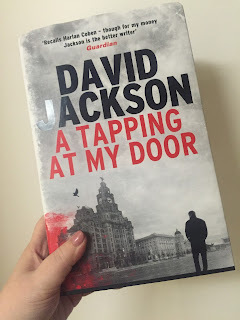 So basically, David Jackson’s A Tapping at My Door is completely unsettling but completely brilliant. It’s one of those books where you can never predict quite how it’s going to end. On a side note, I really enjoy books that are set in places I am familiar with. I was a student in Liverpool for four years and still visit a lot so a lot of the places and street names were places I’ve been too so I could really visualize the characters and what was happening in the plot even more – maybe that’s why it made it so much more scarier?! I can’t believe I have never read any of David Jackson’s novels before. A Tapping on My Door is certainly one of the best crime fiction novels I have read in a while and I can't wait to read more of his work. I'm a sucker for a pretty book cover. I'm also a sucker for, and I've said this many times, books where fate intervenes early on and sends the characters in the book on a completely different path to what you'd expect. These Days of Ours ticked both these boxes so I was hooked instantly. We meet Kate and Becca when they are just children and then are taken on a journey throughout their lives as they reach major milestones. It's a completely original novel and I was so engrossed from the start that I actually sailed past my tube stop! Early on I knew what I wanted to happen but I had no idea if it would pan out that way… And I'm not going to say anymore than that…! A 'Will they? Won't they?' romance novel that is just brilliant. I urge you to read it. Does Writer's Block exist? I believe it's a name given to a whole raft of situations. Tiredness, boredom, distraction, anxiety - all these help to build that block at the front of your mind. When I find myself sitting at the computer, deleting more than I write, tugging at my hair, these are my favourite ways to deal with it. Writers are soooo indolent. We don't have to get dressed to go to work; that messes with your brain. So if I'm stuck in the midst of a scene, putting dull dialogue into my characters' mouths, I go for a walk. There are two parks nearby, one that hugs the river, so I take the spaniels for a trot. If I replay the scene in my head, nine times out of ten, it comes together by the time I'm home again. Chat saves lives. A coffee with my chum who lives around the corner (and is usually up for coffee as she works from home herself) perks me up and takes me out of myself. Hearing about her day reminds me that there is life beyond the keyboard! A dangerous one, this. A natural grazer, I find myself buttering toast and ravishing the Rich Tea biscuits far too often. Actually cooking something from scratch, however, is genuinely therapeutic. The book is pushed to the side, but it doesn't entirely disappear; as I'm chopping onions or grating cheese, little plot niggles resolve themselves. Plus I have an epic lunch to eat (usually it's just more toast). Sometimes it's just lack of energy, or a disinclination to work that gets in the way. I try not to give in; if you downed tools every time you felt a little bleurgh no books would get written. Push, push, push - and suddenly you're freewheeling down a (metaphorical) hill, the wind in your (metaphorical) hair. There's no feeling quite like it. Keeping a writing diary is a life saver. I can flick back and see that all these problems have cropped up before, but I've got through them. Writer's block can be smashed! Thanks Juliet! Buy These Days of Ours here…. Amy. London dweller. Book lover. 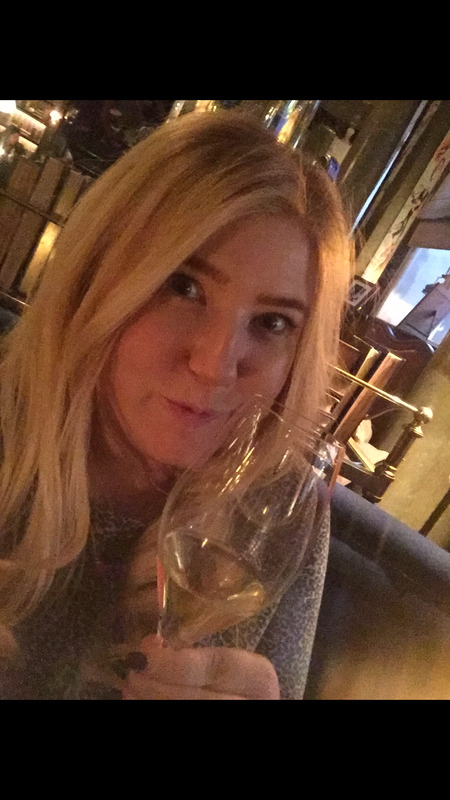 Champagne drinker. Pizza eater. © (A)My Space unless otherwise stated.